Who is this man? And that Byakko is BUG?!?! WTH? Byakko is white tiger, isn’t it? Oh yeah, Genbu is the turtle one, my bad ? I know, I replied earlier actually ? 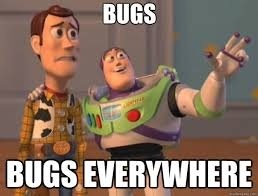 And now the bugs have arrived. the whole world itself is a bug!